Astronomers have published a new paper outlining the potential for extraterrestrial microbial life in the atmosphere of Venus. The study outlined the cloudy, highly reflective, acidic nature of the Venetian atmosphere. The clouds of Venus are mainly composed of carbon dioxide and water droplets. It was pointed out that on Earth, life can thrive in very acidic conditions and feed on carbon dioxide. 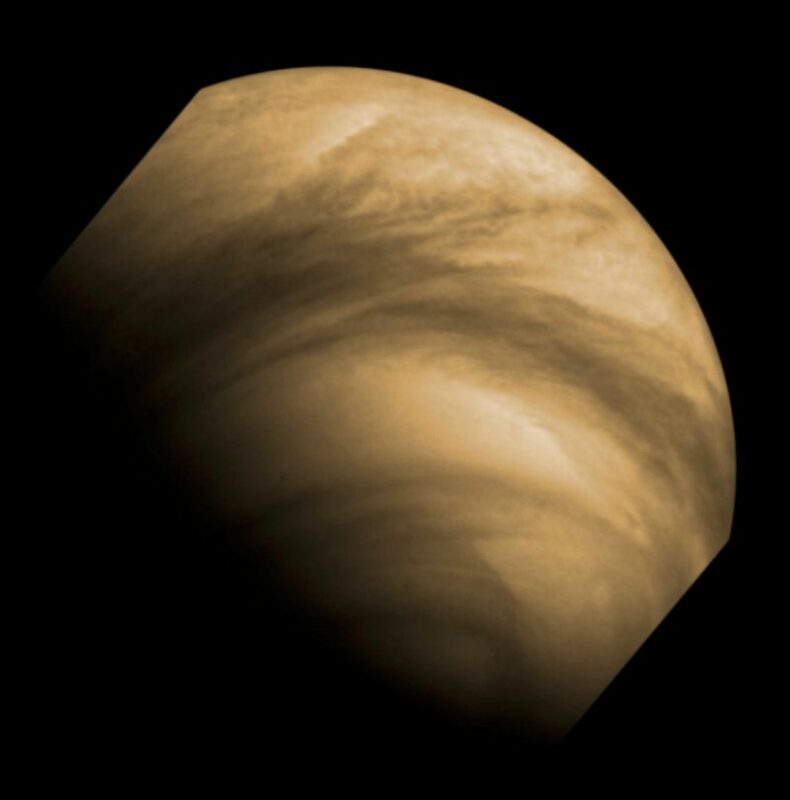 The dark streaks as observed on Venus through ground-based telescopes nearly a century ago may also hold hidden potential for life. According to the study, the particles that make up the dark patches have almost the same dimensions as some bacteria on Earth. The study asserts the possibility that these patches could potentially be something akin to the algae blooms that occur routinely in the lakes and oceans of the Earth. "Spectroscopic observations, particularly in the ultraviolet, show that the dark patches are composed of concentrated sulfuric acid and other unknown light-absorbing particles," said Sanjay Limaye. "Those dark patches have been a mystery since they were first observed by ground-based telescopes nearly a century ago … They were studied in more detail by subsequent probes to the planet."